There’s no avoiding it – portion control and exercise are the most steadfast routes to weight loss. However, if there’s something that can help make the process easier, I’m eager to investigate. I lost 100 pounds in my 30s after slowly gaining in the years between graduating university and getting married. I didn’t know how to use coconut oil for weight loss back then but if I did I think it would have helped me. There’s a huge amount of information online about coconut oil and health in general – some of it contradictory. It can be hard to separate fact from fiction. 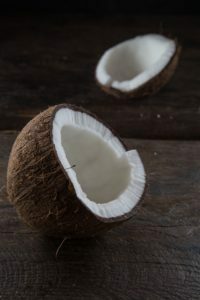 Luckily I’ve sifted through it myself and come up with a summary of the benefits of and techniques to use coconut oil for weight loss. 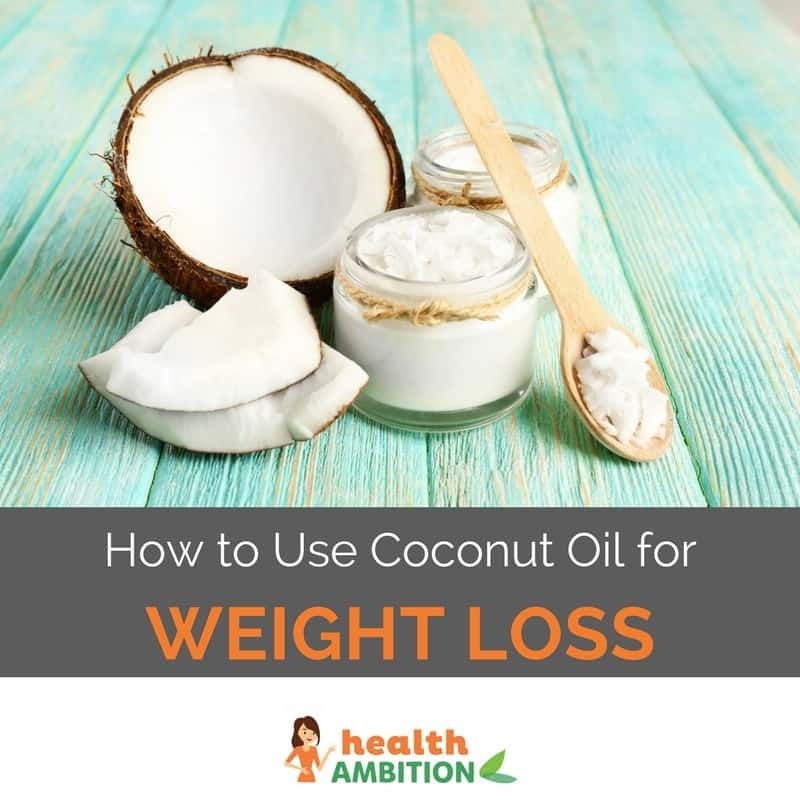 Why Use Coconut Oil for Weight Loss? As I mentioned earlier, reducing your food intake is the most reliable way to lose weight. This can be difficult if you find yourself getting hungry on a diet. Coconut oil may help with this. Studies have shown that consuming a small amount of coconut oil makes you feel full so you’re inclined to eat less at meals and avoid snacking. Coconut oil has a large proportion of medium chain fatty acids,rather than the longer chain varieties found in other oils. This means that they are converted to energy quickly rather than being stored as fat in your body. Fat around your waist – abdominal fat – is one of the most dangerous signs of cardiac risk. 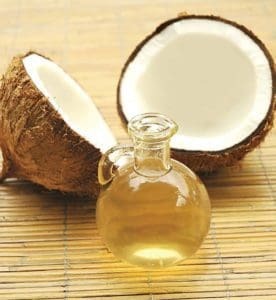 For those of us unlucky enough to store fat in this area, coconut oil could be a good addition to our daily intake. The substance in your body which controls your blood sugar is insulin. When we’re trying to lose weight, we want our blood sugar to stay relatively stable. If our levels are constantly dipping and spiking, it leads to low energy, cravings and other unpleasant symptoms. Depending on the climate where you live, coconut oil may be a solid or a liquid. If it’s a solid – you’ll need to warm it up by letting the jar sit in some hot water before consumption. Overall, you should aim to consume around 1 tablespoon of the oil per day – the best time is 20 minutes before meals in order to curb your appetite. There are quite a few ways to go about this. My personal favourite is a variant on “bulletproof coffee”. I drink coffee every morning anyway and love the coconut flavour and creaminess the oil adds. Make up a batch of hot coffee and add 1 tablespoon of coconut oil. Then put it in a blender until the colour lightens – meaning the oil has mixed throughout the drink. You can add stevia or sugar for extra sweetness but I don’t.